​There's no mistaking a Robert Graham shirt. The intricate and detailed multicolored fabrics are a visual feast, and each shirt bears their embroidered motto, "Knowledge Wisdom Truth." But it's the upturned cuffs, displaying a contrasting design, that conveys the unique Robert Graham style. These are clothes for men and women that can be both fashionable and colorful. Wearable art, if you will. And like investing in fine art, this is an investment in your wardrobe. Founded in 2001 by fashion designer Robert Stock and textile designer Graham Fowler, the company has built a large and very loyal following, branching out into women's fashions and opening a number of retail outlets across the country, including their store at the Gardens Mall in Palm Beach Gardens. Q. The company's mantra is "Live life colorfully." What are some of the differences in your various product lines? 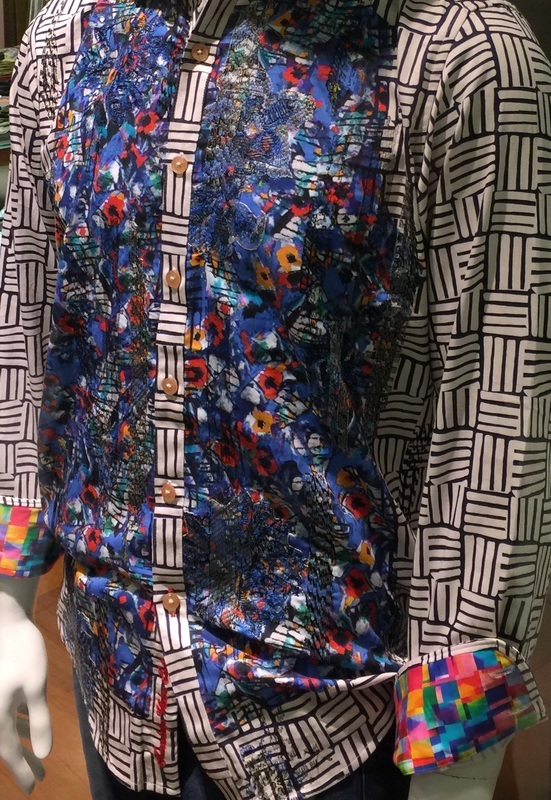 "Each handmade Robert Graham Limited Edition shirt is a wearable masterpiece. With super luxe surprises, inside and out, detailing on our limited editions include: Real gold thread, hand embroidery and appliqué, silk brocade trim, Swarovski crystal buttons. All have “Knowledge Wisdom Truth” embroidered at the hem. An expression of individuality, art appreciation and joie de vivre, each collectible shirt is Limited in production and individually numbered." "The X collection is Tailored Fit and is extremely popular with our customers. We continue to pay close attention to fit and look forward to expanding this category in upcoming collections." "Our Fall 2015 theme incorporated skulls on the clothing due to the theme and inspiration of the collection, but we do not have a Skull Collection." Q. When did Women's Wear launch and how successful has that been? A. "Women launched in tandem with the brand. The Robert Graham Women’s Collection has been very successful, especially this past fall, and we will continue to expand the collection season after season." Q. I read where each product (shirt) is unique. What makes each one unique? A. "Craftsmanship, attention to detail, eclectic style." Q. Who comes up with the new design/color/fabric ideas? A. 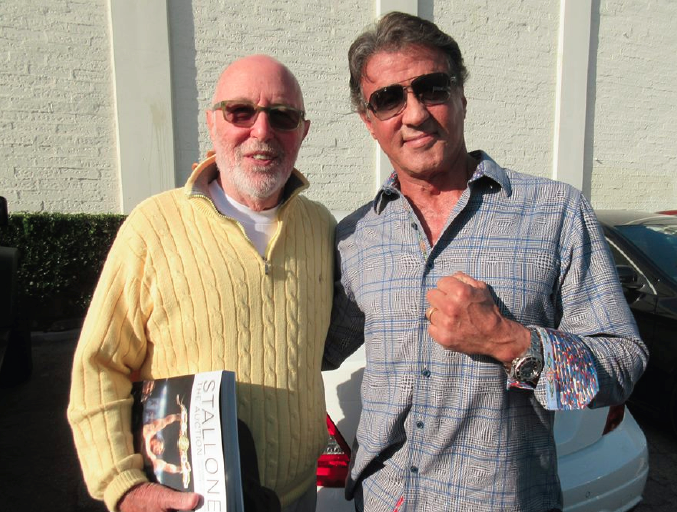 "Our Founder, Robert Stock, along with the design team work together. Robert travels around the world for inspiration, and to find exotic fabrics that represent and carry true RG DNA. Robert Graham’s approach to fashion design extends beyond the literal theme of cleverly and intricately mixed fabrics, trims, and embroidery. This luxury lifestyle brand is a true design house developing garment-making techniques and complex textiles that are unique to the brand alone. Designs are inspired by various elements in time and place including vintage motifs, cultural statements in history, and awe-inspiring landmarks." Q. How many retail locations do you have and how many more are planned for 2016? A. "We have 18 full-price stores currently opened, and plan to open a couple more this year." Q. What is different in the retail stores and what you sell at Neiman's, Sak's, etc.? A. "At the Robert Graham retail stores, you experience the full RG lifestyle that the department stores aren’t able to offer a customer. 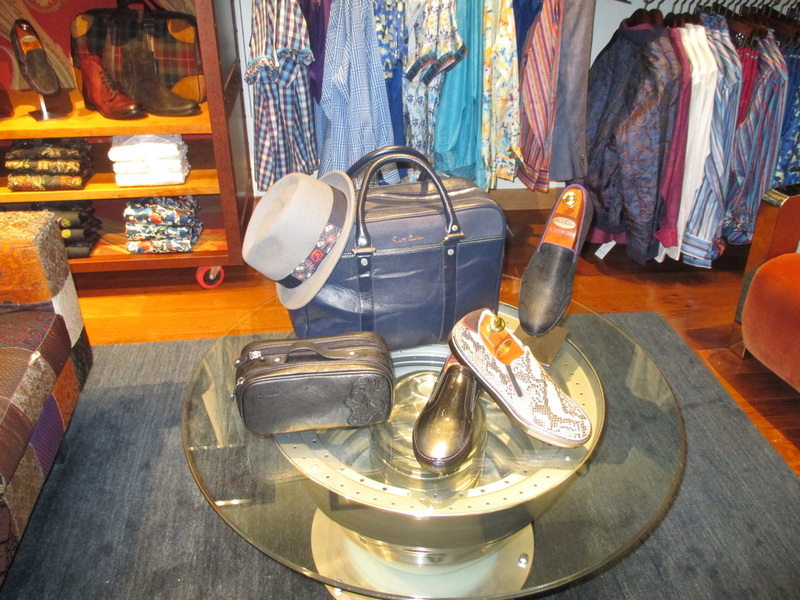 The shopping experience is personalized, and the customer is able to breathe in the full Robert Graham effect, from the merchandise to the store trinkets that make each location so unique." Q. How many charity events do you do? Who decides what charities to support? A. "We stand for charities that are aligned with who our customer is, and what our customer stands for. We don’t have a set number of events per time period, but do them frequently." Q. Do you do a lot of event marketing? What are the primary ways you advertise/market the brand? A. "We always look for way to enhance the customer shopping experience in stores. Event marketing is one component to that – we also pay close attention to one-on-one customer service and giving each customer that walks in our utmost attention, explaining the brand, our offerings, and what makes us unique." Q. Talk about the Collectors Club. What is it and how did that come about? A. "Robert Graham launched its 'Collector’s Club' in 2014, a loyalty program designed to reward Collectors for any Robert Graham purchase, anywhere in the world. Members of the Collector’s Club achieve status and one-of-a kind brand experiences as they move through one of the four program tiers: Ambassador, Connoisseur, Curator, and Master Collector. " Q. Any famous people or celebrities that wear your brand you want to mention? A. "RJ Mitte, from Breaking Bad (he played Walter White, Jr.), comedian, Lisa Lampanelli, singer, Lance Bass, Comedian, Jon Lovitz, Carl Weathers, and just recently, Sylvester Stallone. Q. I love the chair in your Gardens Mall store with all the fabrics on it. Think you would ever sell RG furniture? A. The possibilities are endless. Our in-store pieces are custom-made and unique. The sari sofa is made with sari fabrics from India, custom-made to each location. Q. What are your future plans for 2016 -- more stores coming? New products? A. Expanding our retail footprint, the launch of our Blended Essences collection in March, and exciting new product, included expanded product categories. Q. What's something people don't know about Robert Graham? A. We celebrated our 15-year anniversary last year. 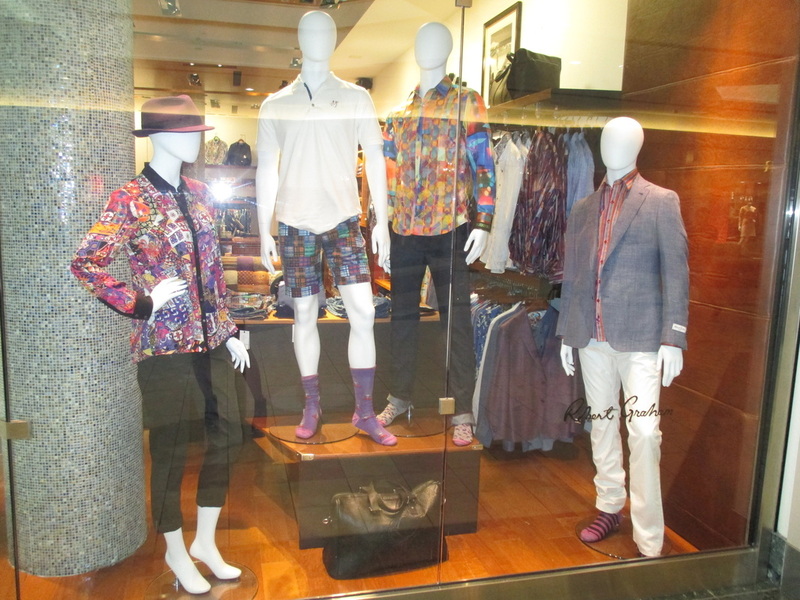 ​The Robert Graham lifestyle brand is delighted to be marking its 15-year milestone anniversary in the men’s apparel business. From the very beginning, Robert Stock, Founder of Robert Graham, knew that there was an innovative gap to be filled for men’s ensembles, and hence Robert Graham was created in 2001. Today, Robert Graham serves as a head-to-toe luxury brand with a large and remarkable following of brand enthusiasts, worldwide. Robert Graham has grown to become one of the leading men’s lifestyle brands in the industry recognized for its intricate detail and engineered patterns in all clothing categories. “Robert Graham retains one of the most loyal and hungry-for-more-customer-bases which has helped increase the category offerings we present…it has been 15 years of listening to our collector base that has brought us to this point in brand history” remarked Chief Executive Officer, Michael Buckley.